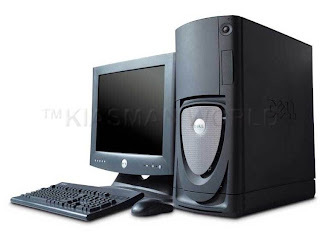 In the society we live in, Information Technology world is not complete without an effective Computer commonly called Personal Computer (PC). The key to maintain your computer at top speed and performance rely mostly on your knowledge of how the computer works and various ways to keep it working that way. Speed is paramount in any computer be it for personal use or in the modern work place where you are the driver of your career. So how can you improve your computer speed? Read on to know how. Let your PC boot up completely before opening any applications. Give it at least 3 Minutes to warm up and load all the required software and utilities so that when you start working all the necessary software will be loaded in RAM. Refresh the desktop after closing any application by pressing F5 key or right clicking on your desk top and click “refresh”. This will remove any unused files from the RAM. RAM preserves all the work for ease of access while you are working and you have to let your computer know that the work is over and the space previously allocated to it is no longer required and is available to be used by another application. Do not set very large file size images as your wallpaper. Do not set a wallpaper at all if your PC is low on RAM (less than 64 MB). Avoid using .PNG files as a wall paper as they are usually very large and consume a lot of RAM space. You may use a JPG file for wallpapers. Do not clutter your Desktop with a lot of shortcuts. Each shortcut on the desktop uses up to 500 bytes of RAM. Also avoid the habit of having so many items stored in the desktop as they consume some RAM space for them to remain displayed. Empty the recycle bin regularly. The files are not really deleted from your hard drive until you empty the recycle bin. Empty the recycle bin if you are really sure you do not need the files anymore as it will not be possible to retrieve them back after they are gone. Delete the temporary internet files regularly. This may be easily accomplished using the software called cache cleaner. Form a habit of cleaning cache memory at least once per week. Cache cleaner is freeware and can be downloaded from this website. Defragment your hard drive once every two months. This will free up a lot of space on your hard drive and rearrange the files so that your applications run faster. Defragmenting files reduce the seek time that the computer requires to access the file from the hard disk. It is more so recommended if your HDD capacity is too large. Also consider partitioning very large HDD for ease of managing the drives. (HDD = Hard Disk Drive). Always make two or more partitions in your hard drive. Install all large Softwares (like PSP, Photoshop, 3DS Max etc) in the second partition. Windows uses all the available empty space in C drive as virtual memory when your Computer RAM is full. Keep the C Drive as empty as possible. When installing new Softwares disable the option of having a tray icon. The tray icons use up available RAM, and also slow down the booting of your PC. Also disable the option of starting the application automatically when the PC boots. You can disable these options later on also from the Tools or preferences menu in your application. Protect your PC from dust. Dust causes the CPU cooling fan to jam and slow down thereby gradually heating your CPU and affecting the processing speed. Use compressed air to blow out any dust from the CPU. Never use vacuum cleaner. Dust also acts as a coating on your PC thus increasing the risk of your computer crashing due to overheating. Have an update antivirus software on your PC to avoid a scenario where your computer is slowed down by a computer virus. A future article on this blog will show how to know if your computer is infected by viruses and how to remove them. Avoid as much as possible the idea of having start up programs and utilities that you do not use regularly. Disable start up applications that you do not regularly use to avoid them running in the background thus using RAM space unnecessarily. RAM IS THE WORKING AREA (DESKTOP) OF THE CPU, KEEP IT AS EMPTY AND UNCLUTTERED AS POSSIBLE! For more information on maintaining your computers refer to the article 10 reasons why PCs crash you must Know. Also refer to a related article Why you should become ICT literate. Keep visiting for more on ICT tips and tricks. Have a good day and thanks for visiting. Really helpful tips.I really enjoyed the quality information you offer to your visitors for this blog. Your post really cool and interesting. Thanks very much. Do you love this article? Leave a comment for Feed Back. Blogging, How and Why? Get to know. Hooray!! IT IS DECEMBER HOLIDAYS AGAIN!! Anthony Kiarie. Awesome Inc. theme. Powered by Blogger.